I'm finally getting to post about something I've been keeping under my hat for quite some time. On March 18, 2014, America Star Books, formerly PublishAmerica, filed suit against me, Michael Capobianco, Rich White, and Writer Beware in the Circuit Court for Charles County, MD. The lawsuit alleged defamation per se on the basis of two posts from this blog: one from March 2013 covering the second class action lawsuit filed against PublishAmerica, and one from January 2014 covering PublishAmerica's new name and services as America Star Books. A total of $800,000 in punitive and compensatory damages was demanded, plus interest and attorneys' fees. The lawsuit also alleged a conspiracy by me, Michael, and Rich to disparage PA and ASB. However, both of the allegedly defamatory posts were written by me, with no input from anyone else. And despite Rich's and Michael's inclusion in the suit, I was the only one ever served with a summons and complaint. After a long delay by the Maryland court, the case reached the discovery stage. Shortly after my attorneys sent detailed and extensive interrogatories and discovery requests to ASB, ASB's attorney, Victor Cretella, contacted us to ask if we would consider settling. It wasn't an easy decision. We'd begun preparing an aggressive defense, and a large part of me wanted to proceed. But considering the time, trouble, and expense of moving forward, settlement seemed like a more practical choice. A final settlement was signed by all parties in January of this year. ASB agreed to release all claims asserted against me, Michael, Rich, and Writer Beware, and to stipulate to Dismissal With Prejudice. In exchange, I, Michael, and Rich agreed not to seek recovery of our legal fees. There you have it. I hope you'll all forgive this very dry recital--as well as my decision to close comments on this post. Writer Beware is a service of Science Fiction and Fantasy Writers of America (SFWA), run by SFWA's all-volunteer Committee on Writing Scams, chaired by Victoria Strauss. SFWA aggressively defends the mission of Writer Beware and its volunteers. How Do Freelance Editors Get Paid? I'm desperate for some good information here. I'm dealing with an editor who is asking me to sign a contract with a percentage of my future sales as part of the deal. I have never heard of this. Is this actually legit? She's asking for 10%. Further questioning revealed that the editor was also asking for $75 per hour. My instinct, based on everything I've read and heard: No, this is not legit--for editing work, anyway--and it's pretty damn greedy, too. For one thing, $75 per hour seems steep, even for heavy developmental editing (my correspondent didn't say what kind of editing was being proposed). For another, while ghostwriters sometimes ask for a royalty stake in addition to a fee, freelance editors typically charge only a fee for the work they do. See, for instance, what the Editorial Freelancers Association, a professional organization for US-based freelancers, deems common editorial rates. The UK's Society for Editors and Proofreaders also suggests minimum editing rates. Writers' Market provides an in-depth look at editing rates, and here's what the Editors Association of Canada has to say. 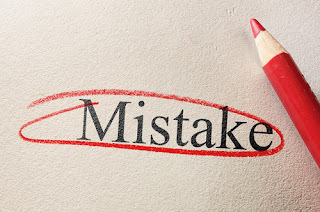 Whether they suggest that editors charge by the hour, by the word or page, or by the project, none of these resources advise freelance editors to demand a share of the author's future sales. @victoriastrauss I dislike that immediately. I charge an hourly or per-word rate, since I believe royalties are for creators. @victoriastrauss Nope. I really don't like the idea of a portion of my income being dependent on the author's ability to sell the book. @victoriastrauss I charge per word. Charging by the hour seems too open to abuse. Have never heard of anyone charging on the % of sales. @victoriastrauss Greedy and unethical. Royalties? No, unless they're ghostwriting. I charge by page, $4-6 depending on variables. Once again, Publishers Weekly's annual overview of fast-growing independent publishers features not only innovative indies, but a publisher whose business model is largely built on author fees: Morgan James Publishing. To make this sizeable outlay of cash seem more palatable, MJP falsely claims on its "compare" page that "Many major houses require authors to purchase 5,000 copies, or more, of the book upon its release", and that even with self-publishing, "[the a]uthor is expected to purchase however many copies required to sell to the general public." Despite all of the above, MJP declares--also on its "compare" page--that "No Publishing Fee [is] charged, hidden or otherwise." Morgan James has always specialized in publishing entrepreneurial authors, offering small advances and higher royalties, and having authors commit to buying a certain number of books at an author rate. In previous lists, this outlay of cash got no mention at all. There's no doubt that MJP has published some successful books. Clearly it puts marketing and distribution muscle behind certain of its titles. But of the 150 or so titles it releases each year, the majority don't appear to receive that kind of support (and at longer lengths, many of its print editions are uncompetitively priced, bespeaking MJP's reliance on print-on-demand). I suspect it's the exception, rather than the rule, for authors to recoup their "investment." I think it's a shame that PW, once again, is helping an expensive pay-to-play publisher to present itself as an innovative independent press. UPDATE: Shortly after publication of my and Chuck Wendig's posts about A&M Publishing's New Author Program, all information about the program was removed from the A&M website, and replaced with a submission form that makes no mention of fees. 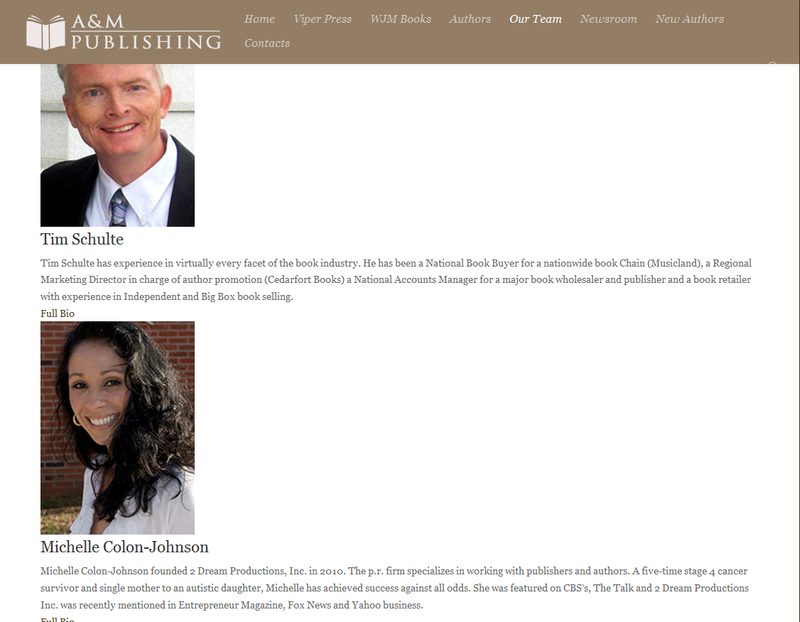 For a limited time, you can see a cached version of the original A&M New Author Program page here. 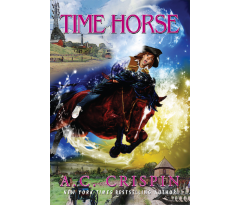 A Writer Beware reader alerted me recently to A&M Publishing, a new venture from author Steve Alten. 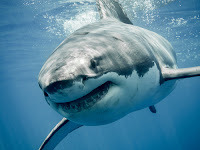 Alten is best-known for his bestseller Meg, about a prehistoric shark menacing modern-day waters. How about sharks menacing modern-day writers? A&M's list so far consists of three of Alten's own books (one written under a pseudonym). The company is clearly hoping to add to its author roster, though, via its New Author Program--but, authors, don't get too excited, because this is pay to play. Big, big pay. 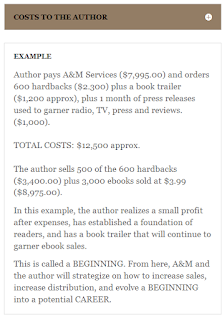 For a suite of services that will be familiar to anyone who has ever investigated a self-publishing service--story and copy editing, interior and cover development, ISBN assignment, and ebook setup and distribution--A&M charges a truly jawdropping fee: $7,995. And that's not all. If you want to see your book in print, you must order and pay for it over and above the basic fee. ("Average Printing Costs: Paperbacks $2.25. Hardbacks $3.85. Prices do not include shipping and handling.") What if you want your print books distributed? Well, A&M doesn't exactly seem to work with a print distributor, but it will "attempt to leverage Steve Alten’s presence in bookstores in order to place the new author’s books." Now, there's a novel distribution strategy! For full disclosure, A&M kindly reminds you that "no publisher can guarantee this service." It's A&M's example of authorial success that really says it all, though. Should you beat the odds and manage to sell more than a handful of books, A&M's got you covered there too. 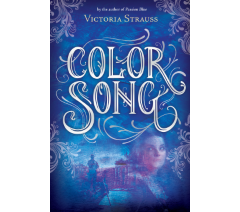 "In the event your book takes off and you’d prefer to work with a big publishing house, we’ll be happy to represent you as a literary agent to negotiate the best deal possible." For a commission, no doubt. A&M reminds me of Jerry Jenkins' expensive pay to play venture, Christian Writers Guild Publishing, which made a similar play for beginning writers, with similar scary warnings about the difficulty of getting published and similar promises of unique and special nurturing. Jenkins' experiment closed down less than two years after launching--in part, I'm guessing, because of its $10,000 price tag. The problem isn't a lack of rich suckers--there are plenty of those, not to mention naifs who are willing to pauperize themselves for a shiny promise--it's that by offering only a single high-priced option, you narrow your customer pool in a potentially unsustainable way. Especially since, somewhat paradoxically, there's a lot of competition at these high price points. To survive at this level, you need to provide a really premier service. New authors, if you want to pay to publish, there are many far more cost-effective options (see Writer Beware's Self-Publishing page for a full discussion and links). And don't forget that when you purchase publishing services, you are not an author contracting with a publisher, but a customer buying a product. Be a smart customer: shop with your head, not your heart. I'll close with Alten's own explanation of A&M's pricing rationale. So why do we charge you? We’re charging you for services required to launch an unproven author – services that I still pay out of my own pocket. For every novel I hire the same editor, P.R. 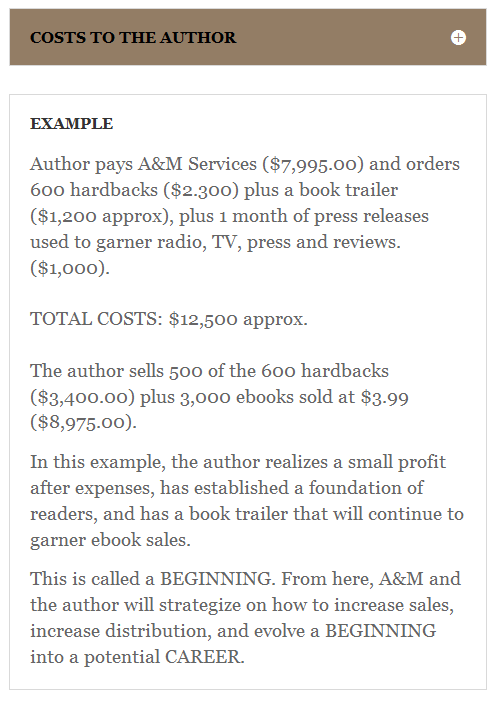 person, book trailer guy – that’s the cost of success. My job is to teach you the business of being an author so that you ACCOMPLISH your goal; the other guys are more interested in selling you a package of ACTIVITY. Lots more activity in that Diamond package! UPDATE: Chuck Wendig has also blogged about A&M, and Steve Alten has responded--you can see his comments starting here. UPDATE 3/8/16: When I put this post online, A&M's "Our Team" page included Michelle Colon-Johnson, owner of 2 Dream Productions, one of the PR services to which A&M authors apparently are referred (see the screenshot below). Following my post, in which I pointed out the conflict of interest inherent in such referrals, Ms. Colon-Johnson's bio was removed from A&M's website. I very much hope this isn't part of an effort to conceal the connection, and that authors who are referred to 2 Dream Productions will be informed that one of A&M's owners will benefit from their purchase of services.